If your car won't start it could be a dead battery. The auto part professionals at Auto Value of West Ishpeming can test your battery and install a new one if needed. Are you aware that an automotive battery needs to be replaced every few years? This is true no matter how often you take your car for maintenance. When the time for battery replacement comes around, most car owners don't have the time and necessary experience to install a new battery. At Auto Value of West Ishpeming, we will help you determine whether your car needs a new battery or not. If the battery is dead and can't be recharged, we will help you with new battery installation. Call 906-485-6328 or visit us today. Since automotive batteries contain a number of toxic chemicals and heavy metals, dead batteries should be recycled to save the environment from pollution. Battery recycling is the process aimed at reducing the number of batteries being disposed of as solid waste. The process reduces the risks of soil contamination and water pollution. Auto Value of West Ishpeming provides a battery recycling service. 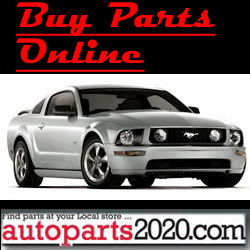 Visit our auto parts store in West Ishpeming, MI 49849 or call us today. Battery testing is the process of examining an automotive battery to gather useful information about individual cells and the battery. Although battery testing is fairly simple and straightforward (and only requires a few basic tools), the test results are not straightforward. For this reason, you should let an experienced auto parts professional handle your battery testing. For all your battery testing needs, call 906-485-6328 or visit Auto Value of West Ishpeming today.